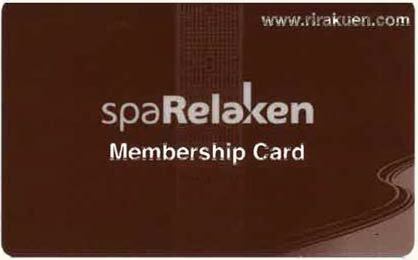 Join spaRelaken Membership program and get *1unlimited Spa and Sauna access today! *1 In order to have unlimited Spa and Sauna access, you have to have Sapphire, Diamond or Diamond Plus membership. Limited once a day. Massages 15% Off 2nd time and more. Massages 15% Off after all credit used. Do you like SGE Hot Stone Spa (Stone Rock Bed Bath)? To receive the maximum benefits from SGE stone, we highly recommend for you to use Hot Stone Spa frequently basis. With our membership program, you will receive a number of Hot Stone Spa credits you can use during your membership. This encourages our members to use them. Massage menu: Japanese Shiatsu, Swedish, Deep Tissue, (Facial Treatment($20),Aroma Treatment($15) and Face Body Massage($5)). Only the registered person can use the membership. *Unlimted Jacuzzi and Sauna access is limited to one time per day. - All monthly membershps require at least minimum three consecutive monthy payments. You can cancel on 4th month or later.